A few institutions work with SUSU to support high level of health. They offer not only medical services, but recreation activities as well. The Health and Sports Complex includes: “Berezka” Childrens’ Health Camp, “Olimp” Sports and Recreation Camp, and “Nauka” Recreation Camp for the University professors. The health and sports complex occupies the total territory of 22.7 hectares. The complex is an important part of the organization of recreation for teachers, staff, students, and postgraduates at the University. The health complex is located in one of the most picturesque parts of South Ural, on the shore of lake Bolshoy Sunukul in a forest area of Nepryakhino settlement in Chebarkul District of the Chelyabinsk Region. 1. “Berezka” childrens’ health camp develops an updated program for their childrens’ summer camp every year. This includes new themes and various entertaining events. Much attention is paid to physical education and sports. There are sports groups, the sports and games area is well-equipped, and relay races, sports holidays and camp Olympics are held. The camp’s educational system combines the experience of the SUSU students and teachers who work as group leaders and managers for creative teams. Each child develops and strengthens his/her knowledge in English, informatics, journalism, and psychology. The camp offers lessons for modern dance and vocals. SUSU students help children create their own teams and learn to participate in KVN. The children are housed in improved buildings in 2-, 4- and 6-9-bed rooms. 2. “Olimp” sports and recreation camp has earned respect among students as an amazing place for relaxation, health, gaining new friends, and spending great time. This is because of the actively developing infrastructure, modern programs, and new themes, which enrich knowledge, skills, and abilities among students and make personal growth and forming of social attitude possible. 3. “Nauka” recreation camp also became part of the SUSU health complex. This facility is for recreation of the University’s teaching and administrative staff. Its activities include cultural and sports events and organization of discipline work in the student camp. “Nauka” is a place where teachers have a chance to restore their strength in a peaceful location after an academic year is over. 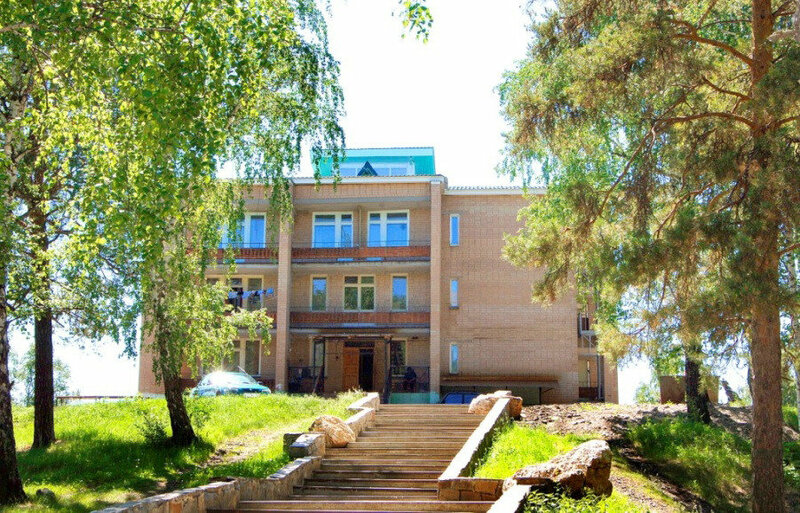 The SUSU “House of Health” medical center was founded in 2000 and was designed as a rehabilitation center. In the beginning, their work was focused on rehabilitating those with spinal injuries. The manual therapy office, massage office, and therapeutic exercise center were opened up for the SUSU staff and teachers. In 2003, a base was created for practical lessons of the Faculty of Physical Education students and for the implementation of health programs using medical massage techniques and manual therapy involving therapeutic exercise instructors who graduated from South Ural State University. Areas: physiotherapy, ozone therapy, cardiology, neurology, general practice, cosmetology. The Sunny Valley resort is one of the most popular and most actively developing mountain skiing centers in South Ural. With the support of SUSU, a special project called “Katalitsa” for organizing active recreation of students was founded, thanks to which thousands of students have a chance to ski at one of the best ski resorts in South Ural. The services of this project can be used by the University students, but also by school students, postgraduates, and the University staff.